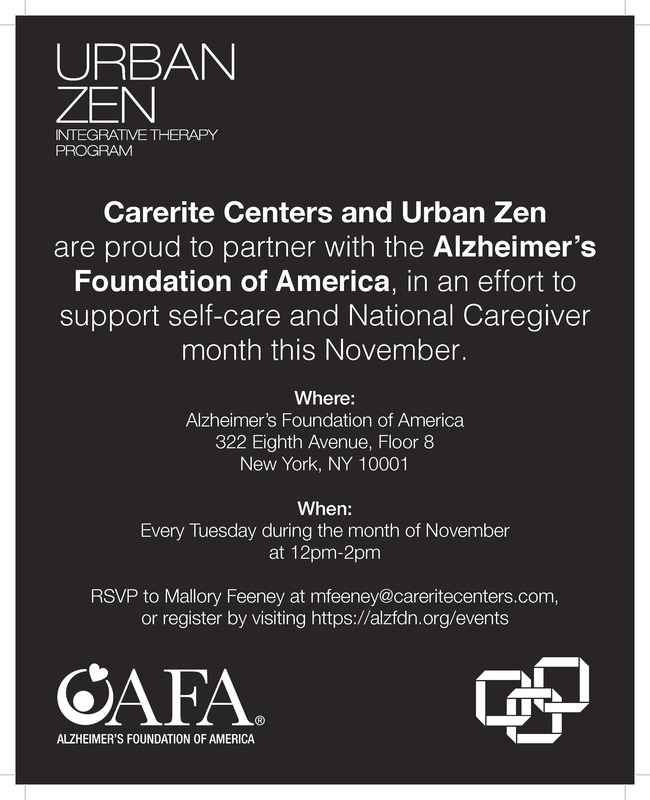 A good care partner cares for themselves, which is why AFA is proud to partner with Urban Zen and Carerite Centers to provide an integrative therapy experience FREE during November, National Caregiver month. Every Tuesday in November, care partners can receive Urban Zen integrative therapies, such as yoga, essential oil treatments and Reiki at AFA’s Education & Resource Center. Urban Zen’s Integrative therapists will work with care partners to create a personalized self-care plan regiment that they can use at home.